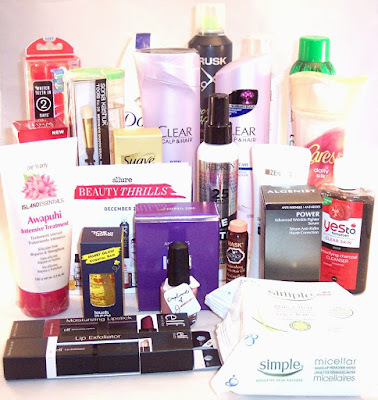 Let's end the year with a bang....in this case, that means one whopping big box jammed with drug store products! 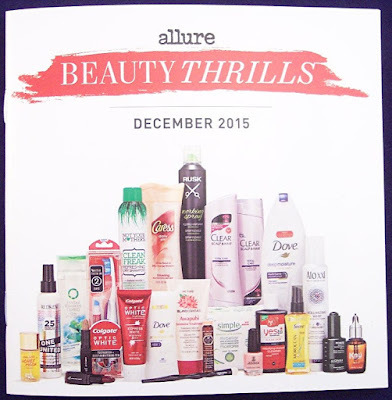 Technically, the Allure Beauty Thrills Box is not a subscription but a lot of people probably wish it was. This is one elusive box. It takes focus and dedication (plus access to high Internet speed) to grab one of these bad boys. For one thing, you never know when they'll come out. (Like my Facebook page and you won't have that problem!) Scoring a Beauty Thrills Box requires ninja caliber stalking skills. When Allure's countdown clock hits zero on the appointed day, divine intervention may be required to get your box as they literally sell out within seconds. Somehow the fates were with me when Allure announced their Winter Beauty Thrills Box around Thanksgiving. Try though I did, I missed out on the last couple of boxes. But I had my finger on the trigger ("Enter" button) and lucked out with this one. They must have stocked more boxes since they lasted a full four seconds before selling out this time! The reason for all the fuss is that the Allure Beauty Thrills Box contains an enormous quantity of full size beauty products. 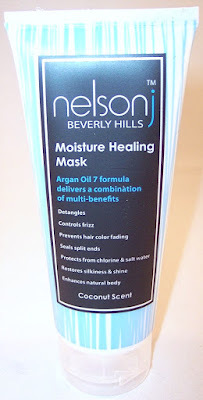 Most of these are drug store brands but they do reflect current trends and new products. 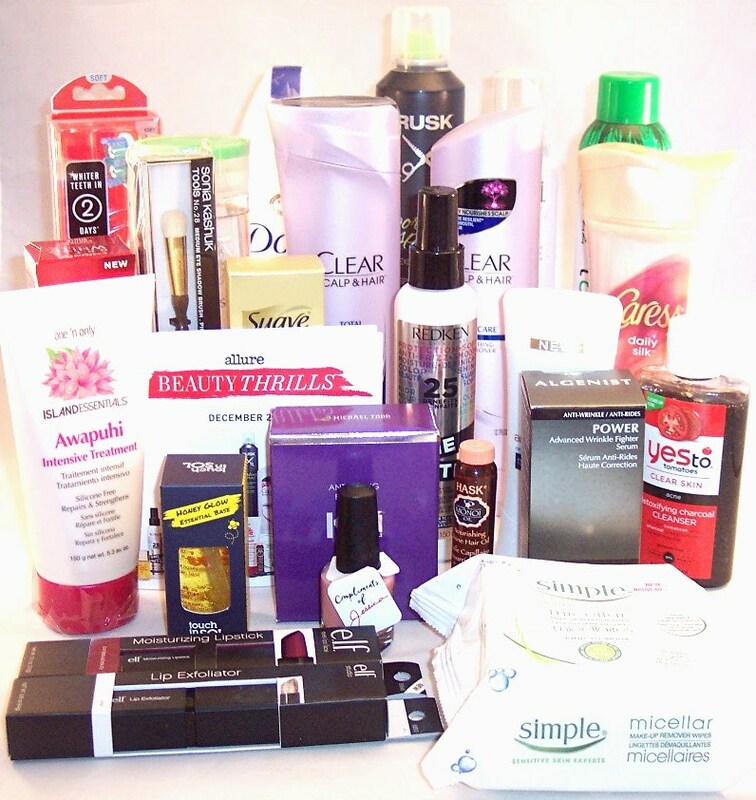 Typically the boxes contain hair, bath and body, makeup, nail and skin care products. The cost of the box is $49.94 plus $10.00 for shipping. I believe I was also charged a state sales tax making my total around $64.00. As you'll see, that was a huge bargain. At 12 lbs. and 24 full size products, this is the biggest box I've received all year. As you might expect, Allure does magazines well! There is a really nice mini magazine with color photos and a description of each item. Since you're probably familiar with most of these brands and products and I don't want this to turn into the Beauty Thrills Box book, I'll just group the products by category and show approximate retail prices. 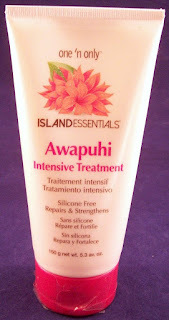 First are the hair products; there are a LOT of them in this box! If my calculations are right, that is a total retail value of $461.23! Can you see why snagging one of these boxes has practically become a blood sport? Even if you removed the two anti-aging products (total value $255.00), the box value is still $206.23....WAY more than its price! Any way you slice and dice the numbers, the Allure Beauty Thrills Box is an incredible value. 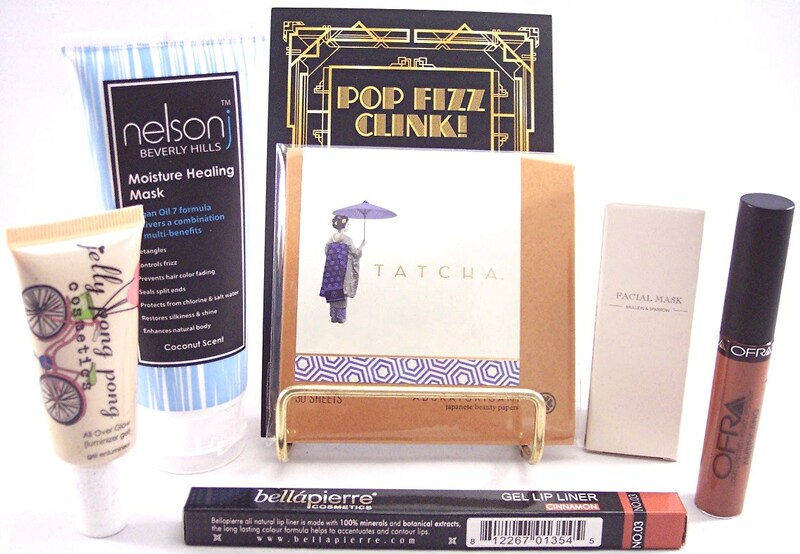 I don't know when to expect the next Beauty Thrills box but I'm guessing it will be Spring, 2016. My best advice is to get on their mailing list and like their Facebook page (then stalk it). I will also make an announcement on the Lone Star Shopper Facebook page when the boxes become available. And oh yeah....Happy New Year! P.S. Be aware that Allure's Beauty Thrills Box is NOT the same thing as the Allure Beauty Box which is a true subscription box that costs $15 a month. GradBin College Subscription Review, December 2015 + 25% Discount Code! 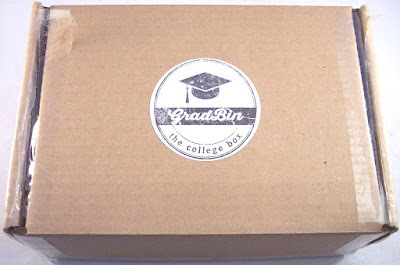 There is a new college subscription box in town....GradBin! They are just getting started and have the unique advantage of being run by two ladies who are actual college students. 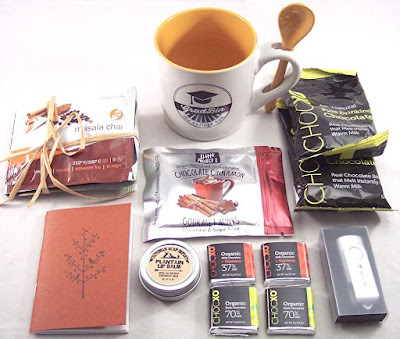 They get the stresses of campus life; GradBin boxes are packed with delicious treats and little surprises that any college student would appreciate. And for the record, a lot of non or former college students who need a monthly boost will enjoy this box too! My December GradBin arrived in a medium sized box with a logo label on top. Inside I found quite a few delicious looking snacks and four items that would make your favorite college student's life a bit easier. This logo mug is the perfect size and has a double slotted handle that holds a little ceramic stirring spoon. 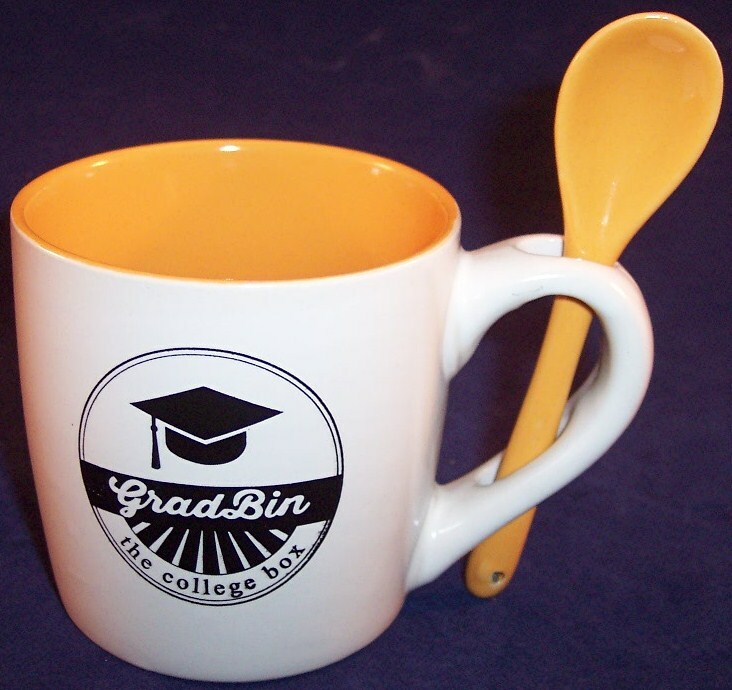 The inside of the mug is an orangey yellow color and the spoon matches. Oddly enough, I have not seen a lot of mugs in sub boxes and I really like the cute "spoon" feature with this one! This box contains quite a bit of chocolate, proof positive that the ladies behind this box are real college students! 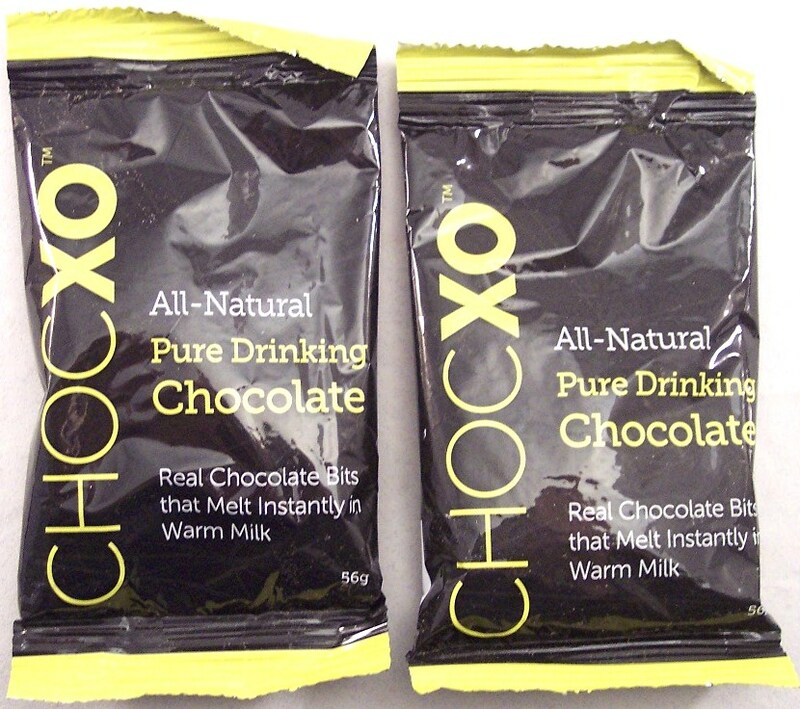 There are two packets of All-Natural Pure Drinking Chocolate from ChocXO; these are tiny little bits that melt in warm milk. Sounds decadent! 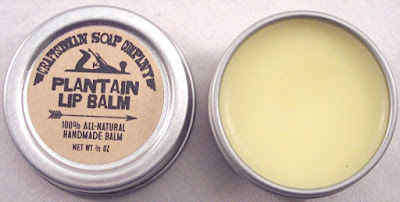 This little pot of Plaintain Lip Balm comes from The Craftsman Soap Company. It's handmade and 100% all natural. 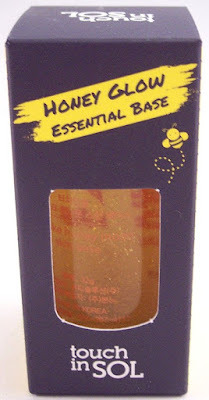 I've never seen a plantain-based lip product before (or beauty product of any kind, for that matter); the scent is very mild. Love, love, LOVE getting interesting new teas in sub boxes. Here we have four individual teas from Adagio, a company I'm not familiar with. 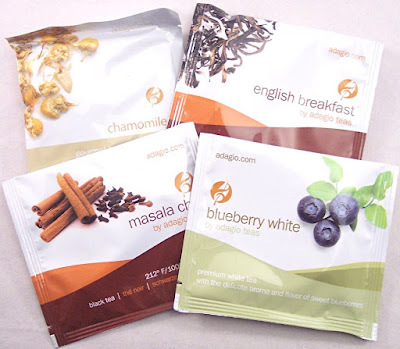 There is a nice assortment containing a black tea (Masala Chai), a white tea (Blueberry White), an English Breakfast Tea and an herbal tea (Chamomile). Although I drink ice tea year round, there's just something so soothing about a hot cup of tea in cold weather! This little purse sized notebook comes from an Etsy shop. 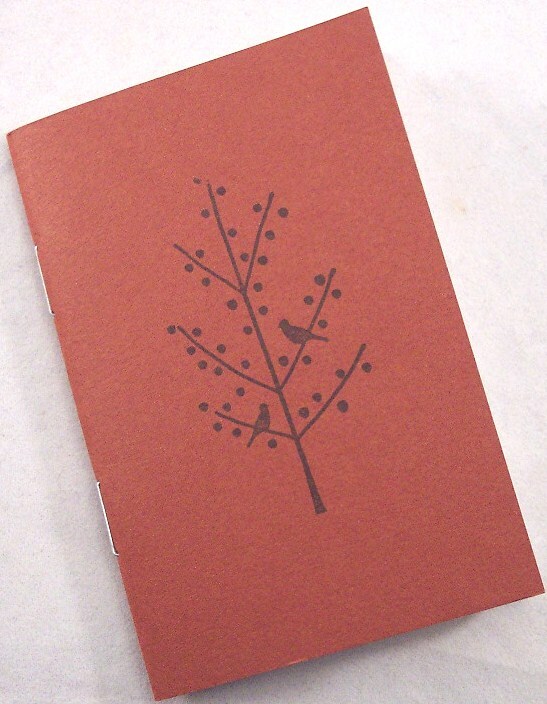 It has a stamped tree design on the front and blank pages inside. There are four bite size pieces of chocolate from ChocoXO. 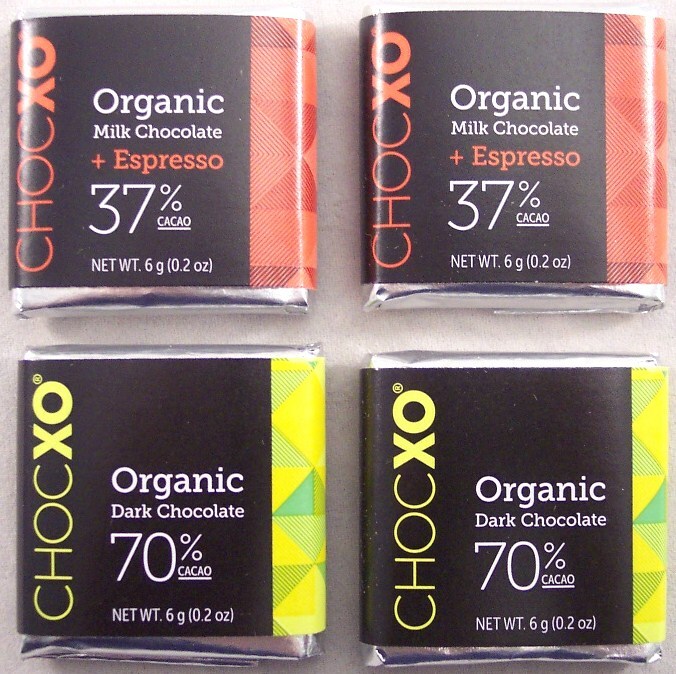 Two are milk chocolate with espresso and the other two are 70% cacao dark chocolate. Diplomatically chosen and soon to disappear! Here is a foil pack containing Chocolate Cinnamon Gourmet Mints from Project 7; these are all natural and sugar free. There is one bonus item in the box which is also my favorite! It's a 4 GB memory stick with GradBin's logo on it. This is so useful and I've already got a job in mind for it. If you order a GradBin before the 21st of the month, you'll get that month's box. Order after that date and get the next month's box. The owners seem quite flexible about assembling boxes on the fly if you need a rush or special order. They can also accommodate special needs, allergies or religious restrictions. GradBins are gender neutral so they are appropriate for a male or a female. I was quite impressed with this box. 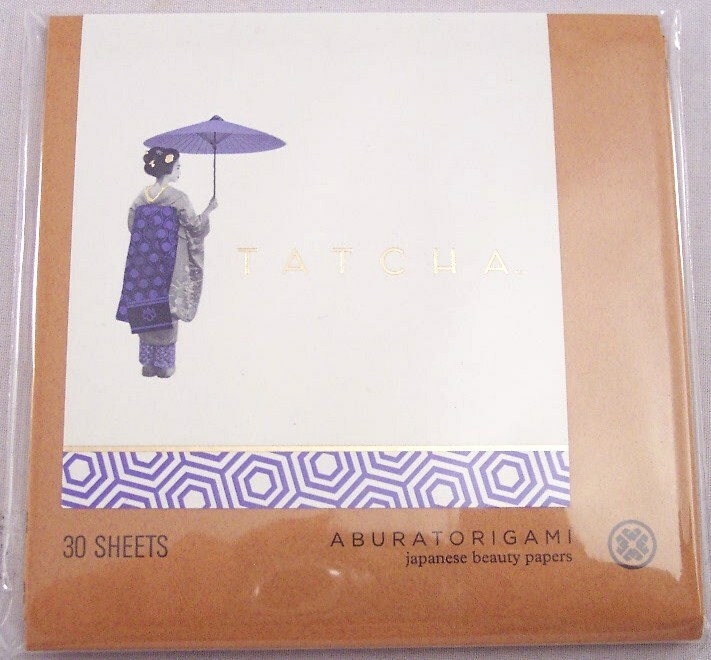 It was nicely packaged and the items were of good quality and were things with broad appeal. I particularly liked the mug/spoon set and the memory stick, both extremely useful items. The curation was nicely rounded out with the tea assortment, lip balm and chocolate treats....all in all, a great first box! GradBin has offered a great discount to my readers! Click here and use code LONESTAR at checkout to get a 25% discount on any subscription or custom box. The savings are significant when you sign up for the longer terms. The code can also be used for a one time box, where you assemble your own GradBin! Just one complaint...where were boxes like this when I was in college?!? Disclosure: Views and opinions expressed in this blog are strictly my own. 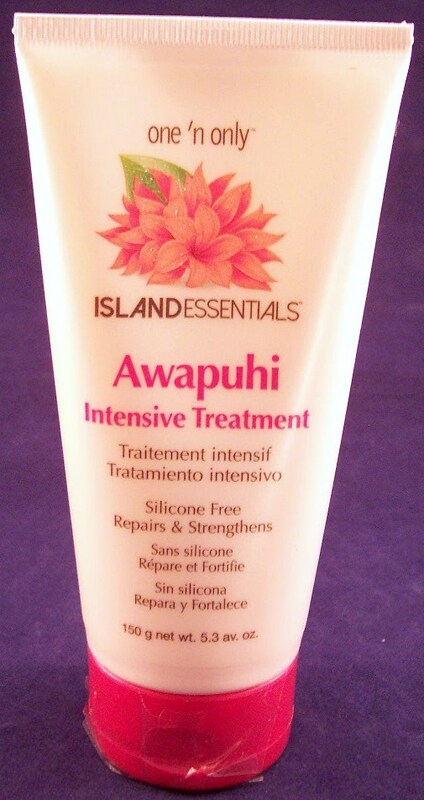 Product discussed in this post was received complimentary for review purposes. Post does not contain affiliate or referral links. 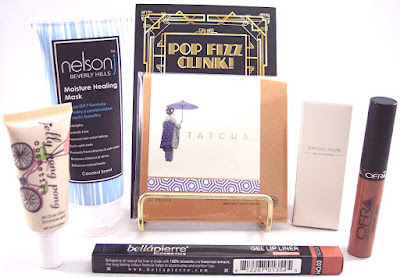 Boxycharm Beauty Subscription Review, December 2015 + 5% Discount Code! When it comes to beauty boxes, one of the best value subscriptions has to be Boxycharm. For just $21 a month (less with longer term commitments), you get at least four or five full size products and occasional luxury samples. The combined retail value of these boxes is usually many times the cost of the box. 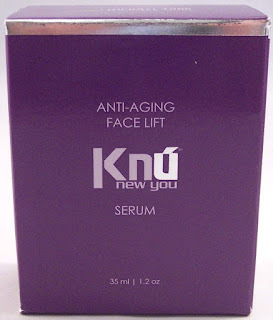 Even better, they feature popular name brand cosmetics and up and coming beauty trends. 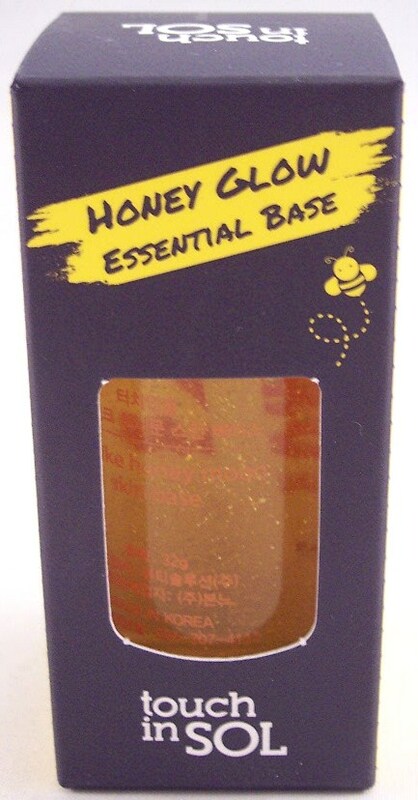 The focus is on makeup but the boxes occasionally contain skin care, nail care, fragrance and hair care products as well. For December, Boxycharm sent five full size beauty products and one deluxe sample size. The box contents were loosely themed around the opulence of the Jazz Age with rich shades and luxury hair and face products. 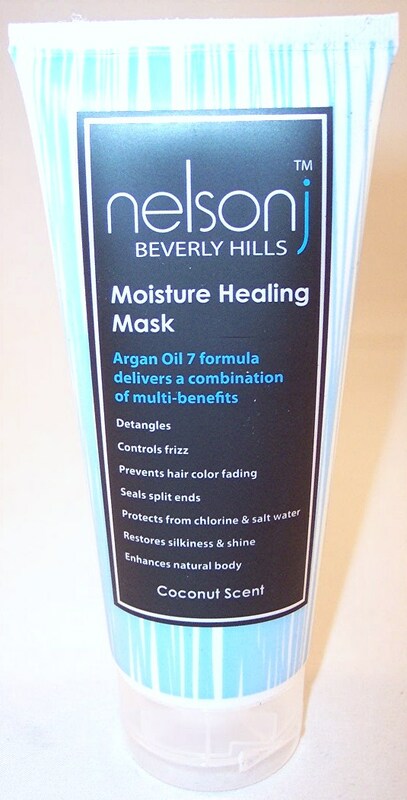 I noticed that some subscribers received a slightly different assortment, specifically, some received a nail product rather than the facial mask sample in this box. Not counting the Mullein & Sparrow sample, the combined retail value of these five products is $88.84, not the highest multiple I've seen but nothing to complain about either. Even with inflated retail prices, it's clear that this box is a great buy. Boxycharm has been an impressive and consistent performer in the beauty box business for at least a couple of years now. For that reason, I believe they are a safe bet for a longer term commitment. 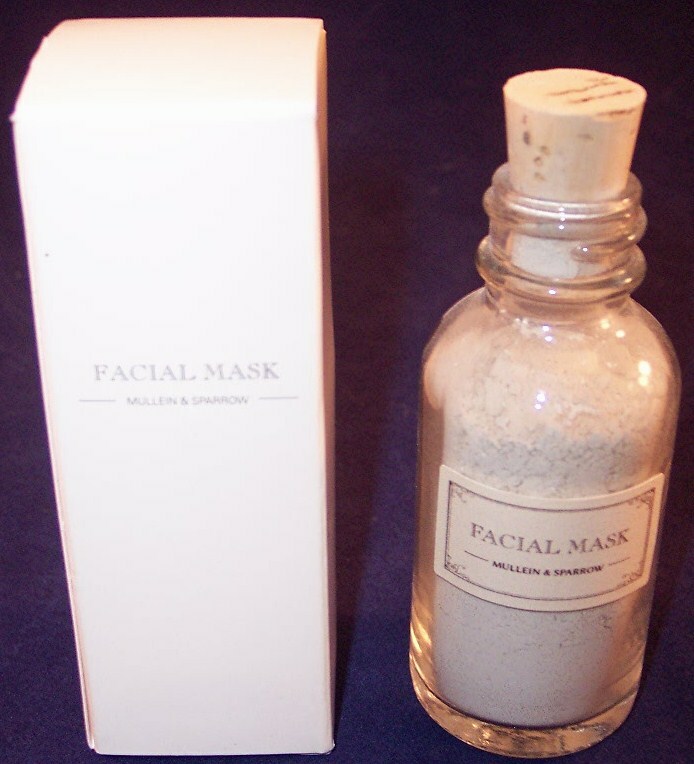 If you're interested, click here and use code DECEMBERBOXY for a 5% discount. This is actually the first discount code I've ever seen for Boxycharm and I think it is only good until 12/31/15 so snap it up quickly if you're looking for a great beauty box deal! Cuisine Cube Review, December 2015 + 40% Groupon & 15% Discount Code! What distinguishes Cuisine Cube from some of the other gourmet food boxes are the full sized products; each cube contains 6 or 7 of them. 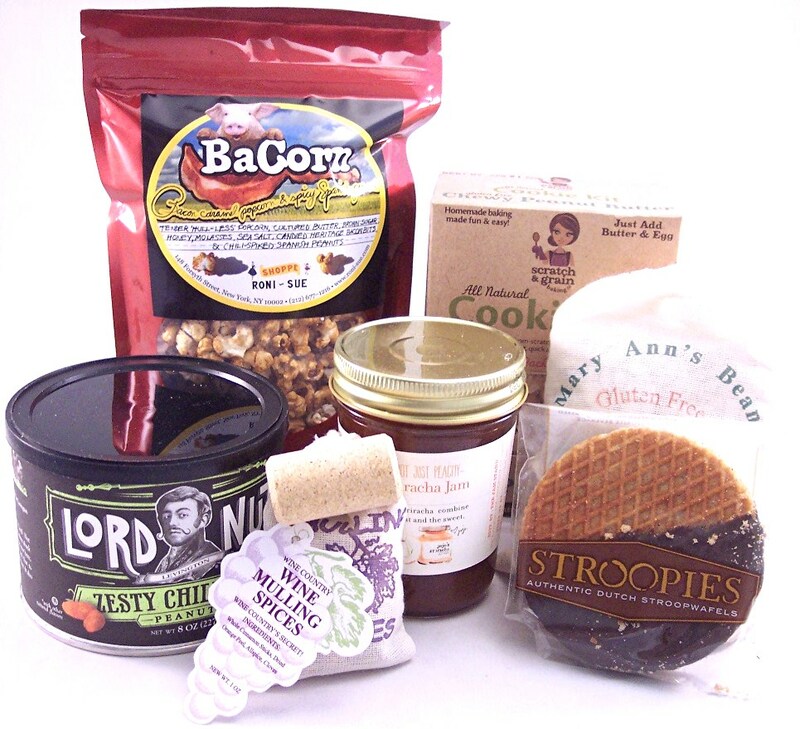 Most of the items come from small batch vendors so have an interesting artisanal quality. 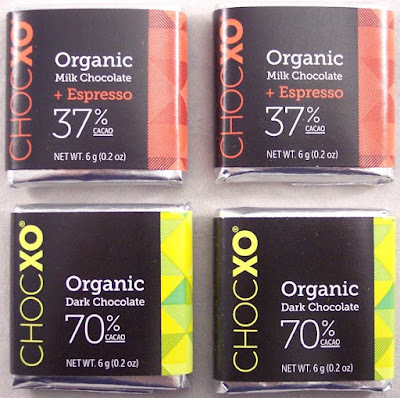 You can choose from among three box types: Artisan (no food restrictions), Vegan (dairy and animal free) or Gluten-free (gluten and wheat free). 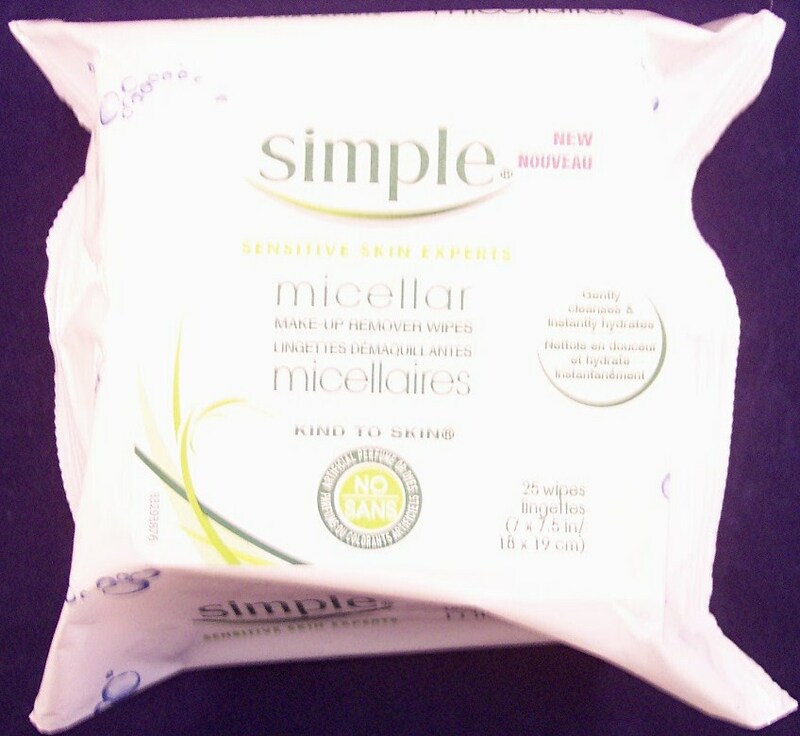 Click here to see sample boxes for each line. Shipping is always free and plans auto renew. I originally signed up with a three month Groupon deal and the December cube was the third box in that subscription. I chose the Artisan line and received seven products, one of which was a replacement for a short dated item in the November box. 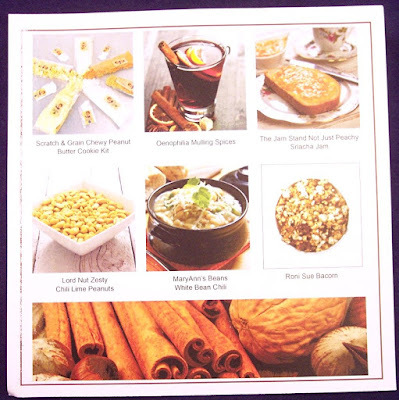 Instead of an information brochure, Cuisine Cube sends a card that gives a brief description of each item on one side and color photos on the other side. The first thing I saw when I opened the cube was this disclaimer slip. Apparently, the Harvest Blondies in the November box were out of date so they included a package of Stroopies as a replacement in this month's box. In my case, the November box didn't even get opened until after the December box, so I had plenty of notice to toss the Blondies. I'm pretty open-minded when it comes to popcorn flavors but bacon? 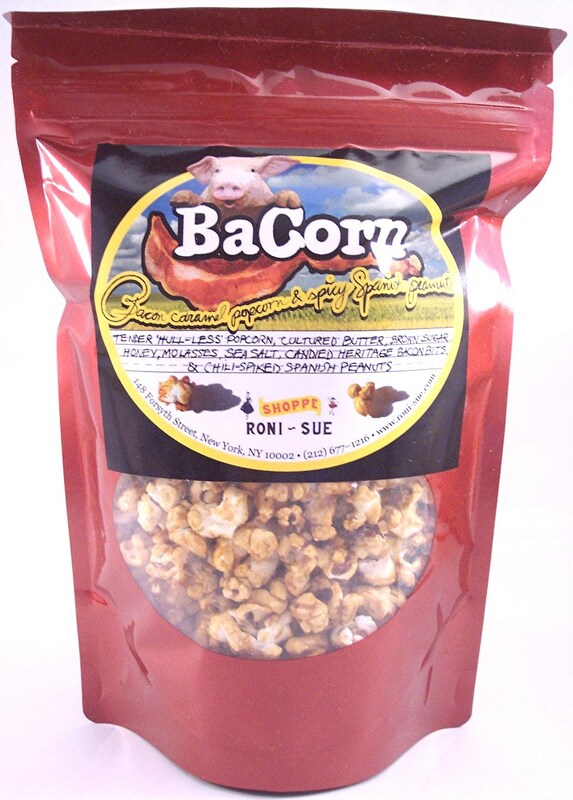 This BaCorn is flavored with brown sugar, honey, molasses, sea salt, bacon bits and chili spiked peanuts. The bacon flavor is not overpowering but it's definitely there. 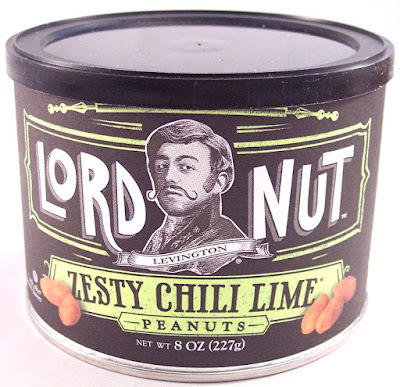 Somehow, this flavor combination works and is quite tasty although I wouldn't buy a large quantity of it. Next is an 8 oz. 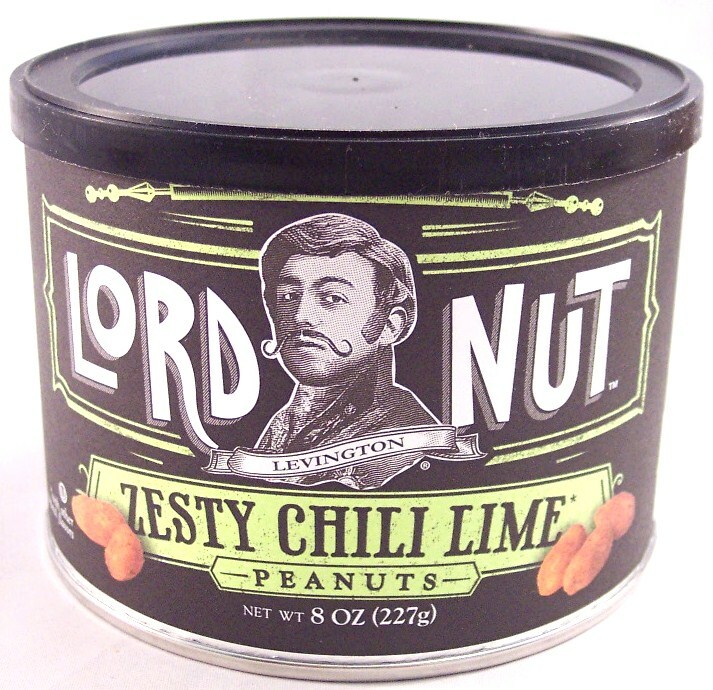 can of Zesty Chili Lime Peanuts from Lord Nut whose mission is to "fight bland". Mission accomplished. 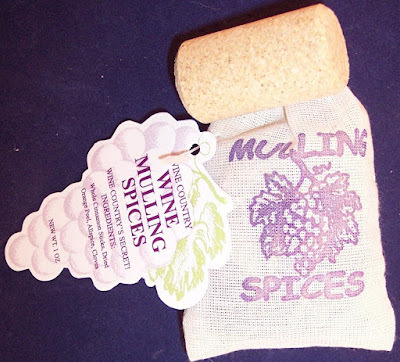 This little muslin pouch contains Wine Country wine mulling spices. 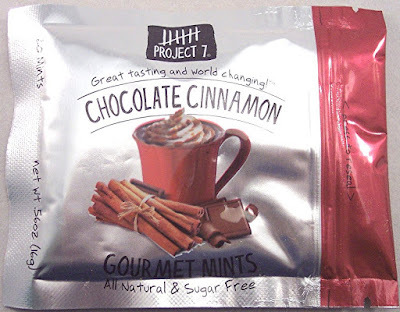 This blend includes cinnamon sticks, dried orange peel, allspice and cloves. The idea is to mix this with wine, water and brown sugar, then simmer on the stove. They've added an ingenious touch, a cork to keep the bag afloat in the pot! 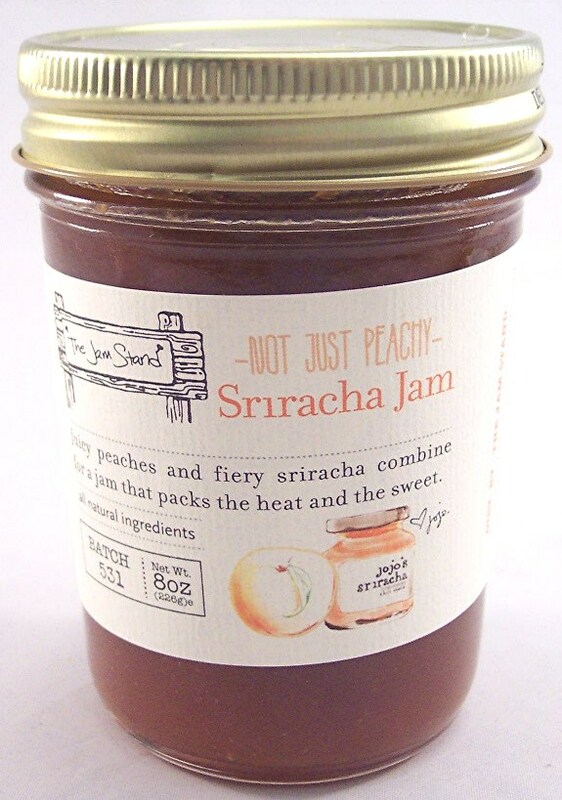 From The Jam Stand, we have "Not Just Peachy Sriracha Jam" that mixes heat with sweet. I love peach anything but the heat scares me away from this one. Fortunately, I know who will like it! 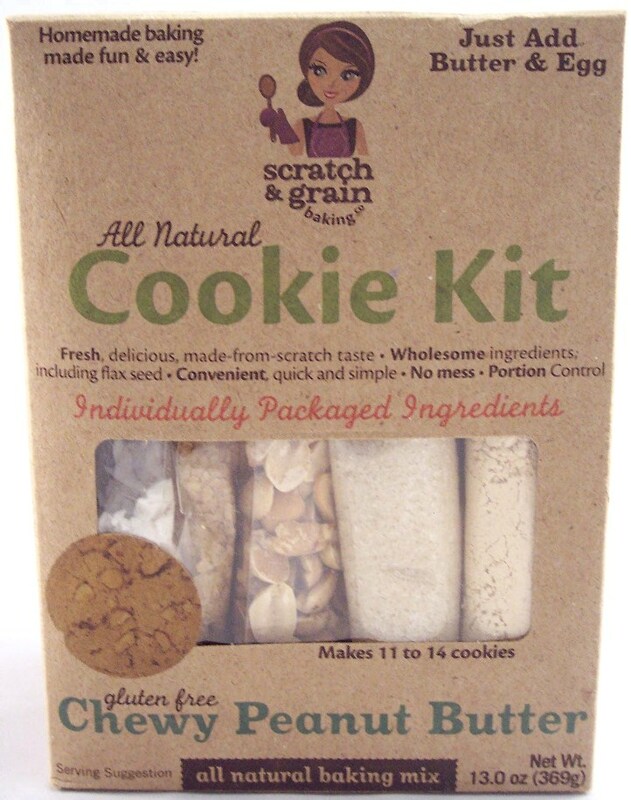 Here's something right up my alley, an all natural cookie kit from Scratch & Grain Baking Co. 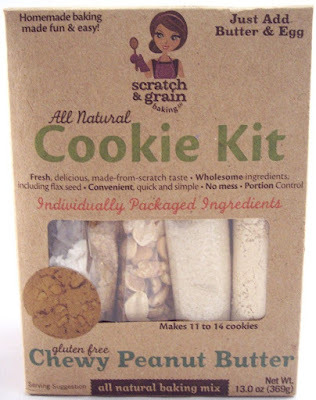 This box contains all you need (except butter and egg) to make gluten free Chewy Peanut Butter cookies. This mix is purposely designed to make a small batch (11 to 14 cookies) so you don't over consume and it includes some healthy ingredients like flax seed. This 12 oz. muslin bag contains a White Bean Chili mix from Mary Ann's Beans. There is a recipe attached and I saw a vegan version on Cuisine Cube's blog. Both look great but the Cuisine Cube recipe is probably the one I'll try. 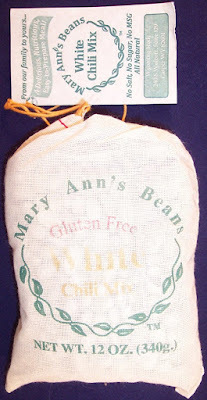 The ingredient list says this bag contains Great Northern, Navy and Yellow Eyed beans, dried onions, garlic and other spices. Can't wait to try this! 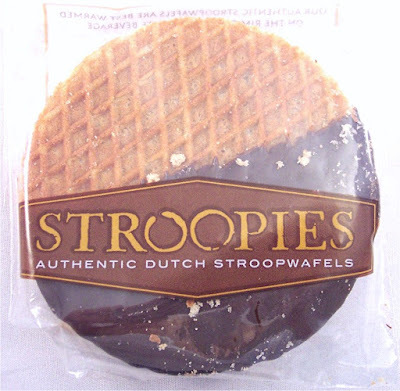 The substitution for the expired item in last month's box is a package containing two Stroopies, which are authentic Dutch Stroopwafels. For some reason, one of these is half dipped in chocolate and the other isn't. I've received these in a lot of sub boxes; while they aren't my favorite, the chocolate definitely helps! I thought this was a pretty good box. In particular, I will enjoy the popcorn (weird as it is), the cookie kit and the White Bean Chili mix. The mulling spices smell wonderful; I don't really think wine is even needed. As of the time of this post, Groupon has an excellent Cuisine Cube deal for one month ($23.99) or a three month subscription ($69.99). 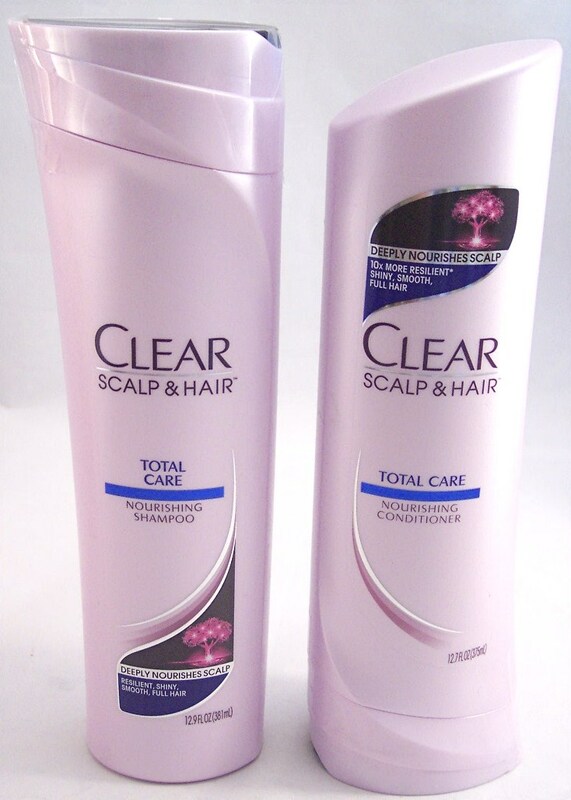 As you can see when compared to the regular prices above, this represents a 40% discount. If that deal is no longer available when you read this, click here and use coupon code UNBOX15 for a 15% discount on any order. The code SPECIAL10 may also get $10 off your subscription. Teabox Review, December 2015 + $10 Discount Code!